With the speed at which mobile technologies have grown and picked up pace, mobile has without doubt become a key channel for financial institutions to engage with customers, create brand awareness and to monetise its offerings. In our recent savings dashboard update, Santander was found to be making great use of the mobile channel to promote its savings products through its latest mobile initiatives and launches. In the recent past, Santander launched its responsive website; however, certain elements on the site, including product applications, were non-responsive. This has changed now, with the bank introducing responsive applications for its savings products including its ISA product range. 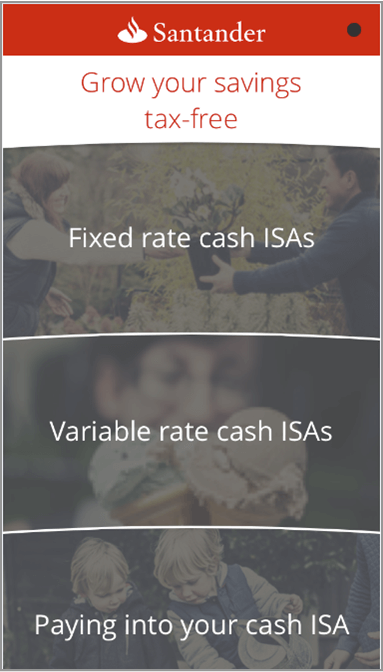 For ISAs, this includes responsive forms for ISA transfers and upgrades. In the last quarter, the bank had also updated their mobile banking app adding an ISA comparison page that lets users get information about the different types of ISAs being offered. The call to action alongside individual products is to apply or upgrade, directing customers to responsive browser pages thereby providing a complete mobile experience. In the last quarter, Santander also launched a standalone app, Santander ISAs, promoting its range of ISA products and also educating users on ISAs through a quick guide. Similar to their mobile banking app, users who choose to undertake a purchase decision within the app, are directed to responsive browser application pages. 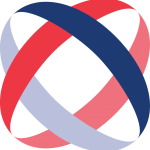 The app was launched in March this year and deliberately coincided with the near close of the previous tax year, often referred to as the ISA season. The purpose of the app seems quite clear – to function as a marketing support tool aiding potential savers to explore Santander’s ISAs, inspire their purchase decision and then guide them to a mobile application thereby completing sales on the same channel. With all the noise around an omnichannel experience, giving customers the choice to continue on a single preferred channel is crucial and helps to provide an undistracted sales journey. Santander’s ISA initiatives in the mobile space are a significant step in that direction.